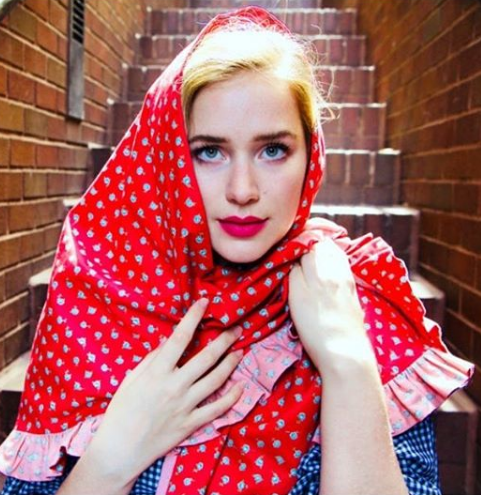 Elizabeth Lail is better known as Elizabeth Dean Lail is an American nationality actress. She is best known for her role in ABC adventure fantasy television series Once upon a time as Anna. She is best known for other several movies like Dead of Summer and The Blacklist. American Actress is known for her starring roles as Amy Hughes in series Dead of Summer. According to the source, Elizabeth and Julian were in a relationship since 2015 but from 2016 they hide their movements from social media. At present who is Elizabeth dating today is still a mystery for all of us. She was born as Elizabeth Dean Lail, to the parents Dean Franklin Lail and Kay Lurene Surratt. She was born in Williamson County, Texas. Her birth sign is Aries. She has one older sister named Kath Lail. 26 years old, Elizabeth began her acting career in 2011 with a short film Model Airplane. Later she appeared on American series Once Upon a Time. Then in February 2015, she was cast as a series regular on David Fincher's Videosynchrazy and she was cast in a starring role in the horror series Dead of Summer playing the role of camp counselor Amy in 2016 which was broadcasted on American cable and satellite television channel Freeform. Later, She was cast as the lead female role in the Lifetime television series You opposite to Penn Badgley. The series is set to premiere on September 9, 2018. At present, she portrayed the main character of Lea in the Anja Murmann directed thriller and drama film Unintended. Lail is an unmarried girl. She was in a relationship with Australian model Julian Haig in 2015. The duo dated each other for a year and used to share a lot of photos together. But the actress doesn't share pictures with him anymore. It looks like she has kept information about her boyfriend a secret since 2016 or maybe they have broken-up. The actress is yet to confirm her relationship status. Even after the breakup who is Elizabeth dating today is still a mystery for all of us. American TV actress Elizabeth has not revealed her salary and net worth. According to her works and professional career, her paycheck is definitely big and she has amassed a good fortune. As per wiki source, it is estimated her net worth is $650-750 Thousand Approx. and her salary is $10K-12K Per Episode. Additionally, she is active in various social media such as Instagram, Twitter, and Facebook. She has 114k followers on Instagram and 50.8k followers on Twitter as of December 2018. She has a taller height of around 5 feet 8 inches and around 60 kg of weights. She has lovely pears body figures with attracting seductive body measurements of 34A-24-35 inches. Similarly, she has a pair of green eyes and lights brown hair. Her shoe size is 8.5 (US).